The Argentina under-20 international burst onto the scene last season and has since gone from strength to strength at the heart of Estudiantes' midfield. Comparable to a miniature Diego Simeone, the 5 foot 7 inches starlet has been linked ironically with a move to Simeone's Atletico Madrid; as well as Premier League side Chelsea and Italian giants Juventus. 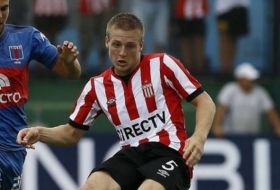 Ascacibar made his first appearance for the under-20's side in January of this year and had already represented Argentina at the Olympics last year. The player is tough in the tackle, quick out of the blocks and is a fantastic passer of the ball. All of these traits have caught the eye of Europe's top scouts and Estudiantes have reportedly priced the midfielder at a whopping 25 million euros already, despite Santiago only having played in the first team for just one campaign. Ascacibar is expected to pull on Argentina's national team jersey in the very near future. He could well become one of the country's finest defensive players for decades.